Sunday Update: Fox's Taken 3 led the box office with ease this weekend with an estimated debut of $40.4 million. The third installment of the Liam Neeson led franchise outpaced pre-release expectations; marking the third time that the Taken franchise has exceeded expectations. Taken 3 hadn't been expected to open anywhere near as strong as 2012's Taken 2, but instead opened a reasonable 18 percent below the $49.51 million debut of Taken 2. Without adjusting for ticket price inflation, Taken 3 delivered the second largest opening weekend ever for the month of January (behind only the $41.52 million take of last year's Ride Along). The film's debut was especially impressive given that so many holdovers came back down to earth this weekend; due in part to the end of the holiday season and due in part to the strong performance of Taken 3. Saturday Update: Fox reports that Taken 3 grabbed $14.7 million on opening day, including Thursday night's $1.6 million start. The Liam Neeson action sequel was off 20 percent from Taken 2's $18.36 million opening day in October 2012, although these early numbers are still at a more-than-healthy level for the franchise entry. Unfortunately, critics haven't warmed to the film (giving it an 11 percent on Rotten Tomatoes), although early audience word of mouth is relatively stronger with a 73 percent Flixster score this morning (by comparison, The Equalizer was at 81 percent one day after release). It could be argued that franchise fatigue has set in for the series, but Fox's marketing team (alongside Neeson's drawing power) gave audiences enough reason to come back again with the promise of advancing the story by killing off a major supporting character to drive the plot . 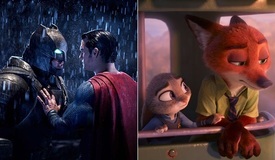 BoxOffice is projecting a solid opening weekend of $39.5 million. Paramount's Selma expanded into wide release this weekend with $3.8 million from 2,179 theaters on Friday. The Martin Luther King, Jr. biopic had been performing well in limited release for the past two weeks on the heels of excellent reviews -- it current stands at 98 percent on Rotten Tomatoes. Selma's audience score is at a strong 87 percent this morning, indicating mainstream crowds are slowly but surely beginning to embrace the drama. CinemaScore was an "A+". With MLK Day to follow next week, and the film's timely nature following recent real world events, expect some back-loading that gives Selma an enduring run beyond this weekend. BoxOffice is projecting a $12 million weekend. Unbroken added $2.6 million yesterday, boosting its total to $95.8 million as it approaches the $100 million domestic threshold (which it will cross by the end of this weekend). 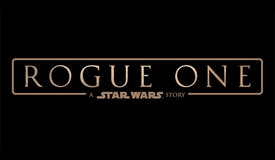 BoxOffice projects an $8.5 million frame. The Hobbit: The Battle of the Five Armies fell out of first place for only the second day since its opening in December. The finale took in $2.47 million yesterday, giving it a 24-day total of $229.55 million. 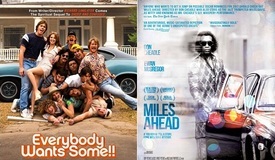 BoxOffice projects $9.5 million this weekend. Into the Woods brought in $2.46 million on Friday, bringing its total up to $98 million. The Disney musical will cross $100 million domestically on Saturday. 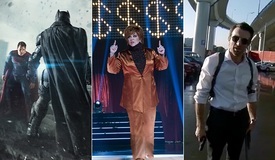 BoxOffice projects a $9.4 million weekend. In its expansion to 1,566 theaters (nearly double its previous count), The Imitation Game continues to maintain strong momentum as it earned $2.15 million yesterday. The film's run is closely mirroring that of The King's Speech four years ago (both films were release by The Weinstein Company). To date, Imitation has tallied $35.4 million and should total $8 million this weekend. Friday Update #2: Sources tell BoxOffice that Taken 3 is on pace for north of $35 million during its debut frame. That's a drop from the $49 million that Taken 2 posted, but its very healthy on its own terms. We expect overseas returns to make up for any domestic dip. Selma should hit at least $15 million this weekend--a solid haul for the drama's wide expansion. The opening weekend is not as important for Selma because word of mouth will keep it alive for weeks to come. 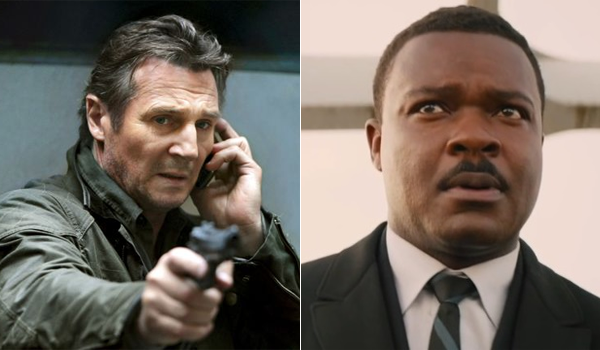 Friday Update #1: Sources report that Taken 3 bowed to $1.6 million from early shows last night, a strong start for the Liam Neeson action sequel to lead off the weekend. 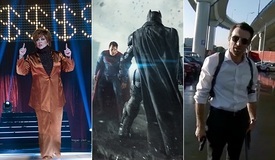 By comparison, Taken 2 earned $1.5 million from preview shows, as part of a $49.5 million weekend, back in October 2012. Taken 3's initial haul is also in line with last September's The Equalizer ($1.5 million Thursday night / $34.1 million weekend). Based on early results and strong online tracking, Taken 3 looks poised to top $30 million through Sunday. Also opening this weekend in wide release is the critically acclaimed Selma, which took in a healthy $400,000 last night. The film started in limited release two weeks ago and has accumulated $2.2 million from just 22 theaters during that time. Selma currently boasts an impressive 99 percent Rotten Tomatoes score from 115 critics.